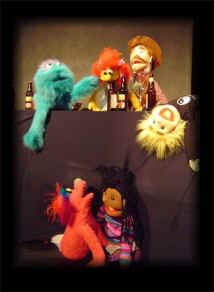 The Cotton Gin: Improv show with puppets in a bar! The Cotton Gin is a neighborhood bar serving a certain special race of individuals. The bar is owned and operated by a human bartender (Jay) who opened the place because of his fondness for them and his realization that these folks are discriminated against in the human world. This show is not intended for children so bring them at your own risk! It is an improv show so it may fluctuate from a PG rating to an R rating! 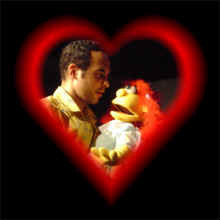 In this show you'll find romance, adventure, and pure puppet craziness as well as the acknowledgement of social issues, controversy, and a few tragic moments. This show is improvised at Unexpected Productions Market Theater and features some of the best improv performers in the northwest.